2018 was a growth year for me in this hobby, as my skills refined as well as the use of my gear. It's fitting that one of my favourite shots of the year is one of the last. 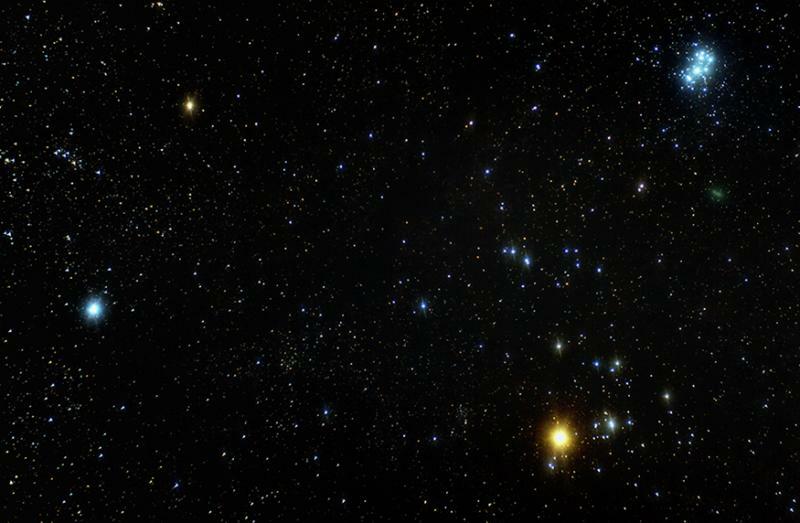 Between the green of 46P to the blue of the Pleiades and the red and the orange of Aldebaran, no other photo seems so fitting for the season we're in. To all my amateur astrophotographer brothers and sisters out there... Merry Christmas, Happy Holidays & Clear Skies! Edited by dailyshow, 16 December 2018 - 04:39 PM. I searched for Wirtanen last night in vain. This will help me to find it tonight, if that is possible visibly. Beautiful image. Great to end the year this way.